Not all lines of evidence are weighted equally when it comes to variant classification. The weight applied to each line of evidence is governed by many facets including gene-specific information, data quality, control data, statistical analysis, validity, and more. This talk is designed to help participants understand the concept of evidence-based research and how it applies to variant classification. It will highlight how human expertise and judgement intersects with math and science to form the most appropriate variant classification to inform clinical care. Dr. Richardson graduated with a B.S. in Biological Sciences and a B.A in German from the University of Rhode Island where she researched plant homologs in algae. She then received her doctorate in Tumor Biology from Georgetown University where her thesis research revealed novel molecular interactions and anti-cancer properties for the vitamin D pathway in breast and colon cancers. These interactions included a new intersection with the oncogenic beta-catenin pathway through TCF7L2 and regulation of the vitamin D pathway by DNA methylation and chromatin remodeling. 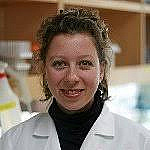 Dr. Richardson then applied her knowledge of DNA methylation to the field of reproduction in her post-doctoral fellowship at the University of California, San Diego. Here she discovered that DNA methylation of an X-linked cluster of homeobox transcription factors may play a role in human male infertility. During her time in the lab, Dr. Richardson was the recipient of several grants that funded her research including one from the Department of Defense and the National Institutes of Health. 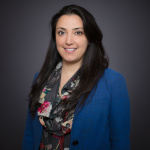 Dr. Richardson joined the Variant Assessment Team at Ambry in 2016 where she contributes to the classification of complex genetic variants in cancer predisposition genes with a particular interest in colorectal and breast cancers.